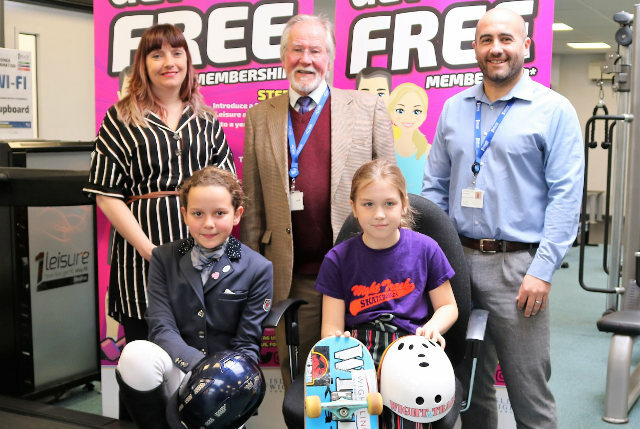 This year, skateboarding features in the scheme for the first time, with eight-year-old Martha Eggleton (pictured right), from Whitwell, receiving support. As a Wight Trash team rider, she is due to compete in events around the country in the year ahead – once she has recovered from breaking her leg in five places this month. More traditional sports such as dressage — under which 12-year-old Poppy Bennett (pictured left) is being supported — swimming, rugby, athletics and cricket are also represented this year, as well as more unusual sports such as flag football, land sailing and underwater hockey. “Thanks to the generous support of our sponsors — who include Cowes Chiropractic Clinic, Wightlink, Southern Vectis, the council’s 1Leisure service, RMA Sports Injury Clinic and Love Running — we are, once again, able to support budding sports stars on the Island. “We are really proud to continue our support for the council’s Talented Athlete Scheme as we recognise the benefits it brings to Islanders pursuing their sporting dreams. “Without the support I’ve received through the scheme it would be very hard to compete at this level due to the amount of mainland travel involved.